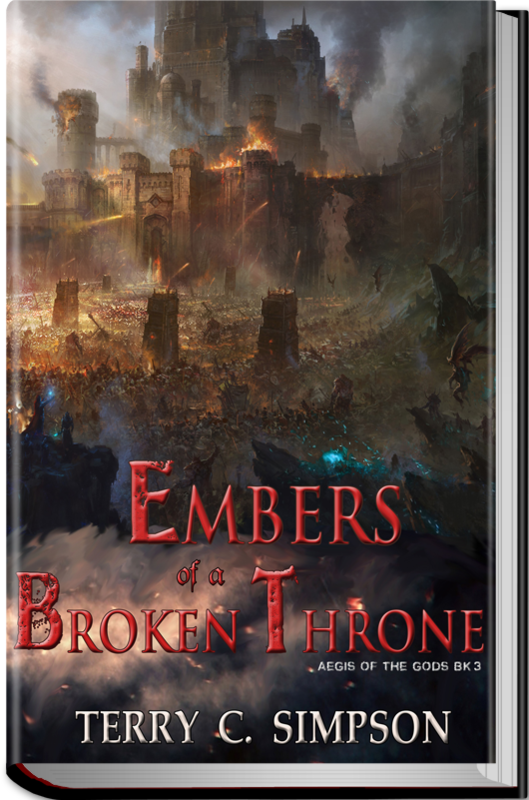 In the aftermath of a titanic battle, Ancel and the remnants of his people are fleeing to Benez, a city reviled by the world. Hunted by Tribunal assassins and shadelings, he must fight to see them survive even as corruption creeps across the land, and his father battles for sanity. Ryne continues to hold fast to his secrets, but suspicious of those around him, he makes a shocking discovery of his own, one he dare not reveal. Still struggling with the loss of her parents, her feelings for Ancel, and her hate for Ryne, Irmina comes into her power as a Beasttamer, and is exposed to knowledge that could kill them all if the enemy sees through her act. Meanwhile, the Nine continue to pull strings, and the armies of the Tribunal and Amuni’s Children march, their ultimate goal to see an end to Ancel and the Eztezians, and to breach the prisons of the gods. But true to form in Denestia, many things are not what they seem.